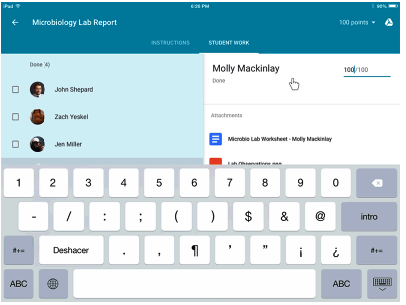 Google Classroom celebrates this year’s Teacher Appreciation Week with the release of some new interesting features to its mobile apps. These new updates are geared towards enhancing Classroom performance by allowing teachers to stay updated of their classes whenever and wherever they are. Here is a run-down of the new features. More releases are to be announced this week. 1- Teachers can now grade assignments right in their mobile devices with the ability to send individualized feedback to students. 2- Editing and creating assignments is now supported on mobile devices. This includes the ability to “ make a copy for every student”. As is the case with all Google’s products, Google Classroom has now an online Help centre . The centre features a wide variety of resources and guides covering everything you need to know about Google Classroom. Check it out to learn more.